At time of sale, a buyer may request a list of the lamb’s life events so far, and his "papers" may be given or sent to the NABSSAR registry. 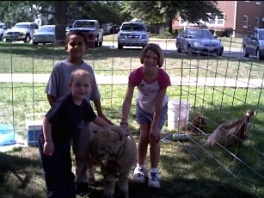 Babydolls make nice pets, wonderful 4-H projects, and great fuel-efficient lawnmowers. Their wool is desirable for blending by handspinners, and their meat-if a person could eat one-is supposed to be excellent. Have you ever seen anything cuter?!!! Babydoll Southdowns have adorable "smiley" faces with personalities to match. They are calm rather than flighty and stay within their fences well. Reportedly they can be used in orchards to keep the grasses down between trees because they do not girdle the trees as some breeds do. The ewes are excellent mothers. 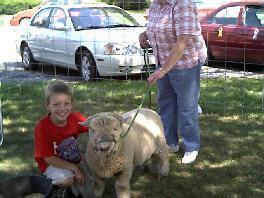 The "babydoll" size is the original Southdown size and the Southdown breed itself is listed with the Livestock Conservancy ("recovering"). 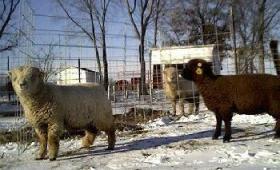 My original male and female sheep are double-registered with the North American Babydoll Southdown Sheep Association and Registry (NABSSAR) and Olde English Babydoll Southdown Registry. Contact me for information about lambs for sale or to make a reservation. 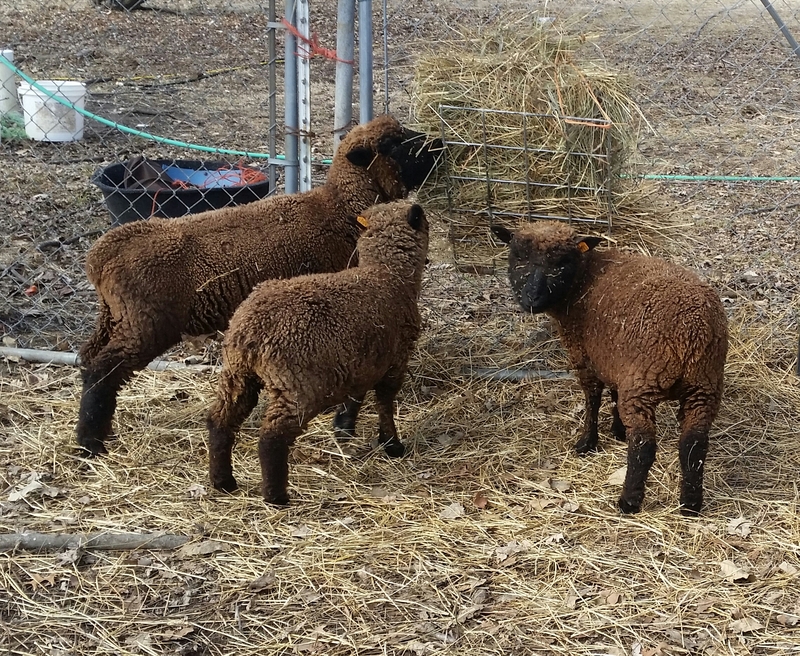 Right now, I have for sale two 2017 lambs, both registered with the NABSSAR, both black, and both tested QR. 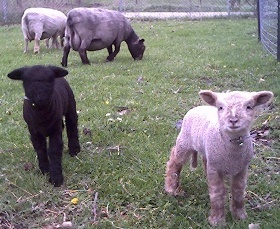 The female is a twin; the ram lamb has the same father but different mother. I am listing them and the 2018 lambs for $500 each. Among my 2018 lambs, I had several for sale already tested (codon 171--scrapie susceptibility, though no scrapie cases have been known in Babydolls anyway). By the time the lambs are weaned (most are tested QR, though one is RR) and ready to be picked up, I may also have a few adults available to sell. Why Rare or Heritage Breeds?